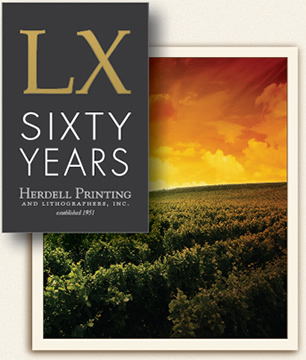 We pride ourselves on the knowledge we have acquired over the half century of service to the wine and food industries. Knowledge as basic as the definition of our processes to the complex science driving change within our industry. li•thog´ra•phy (lî•thög´ra•fí), n. [litho- + -graphy.] The art or process of putting writing or designs on stone with a greasy material, and of producing printed impressions therefrom; also, any process based on the same principle, as one using zinc, aluminum, or some other substance. off´set´ (öf´sét´), adj. Designating a process of printing from a flat surface in which the impression is first received by a rubber-surfaced cylinder, from which it is tranferred to the paper.